The Asia Cup 2018 is all set to take place from September 15th at UAE. 6 teams are set to lock horns against each other. The new additions to this edition of Asia Cup are Hong Kong and Afghanistan. Defending champions India have named Rohit Sharma as their ODI captain with Virat Kohli given rest. With the 2019 World Cup approaching next year, every team will try out different batting and bowling combinations. This slideshow analyses the reasons why this particular Asia Cup will be boring for the viewers, especially those from India. This year's Asia Cup will consist of 6 teams (India, Pakistan, Bangladesh, Sri Lanka, Afghanistan and Hong Kong). Usually, the Asia Cup is played between 4 countries (India, Sri Lanka, Pakistan, and Bangladesh). With more teams added, the number of matches to be played has increased significantly. The viewers might find it boring to follow all the matches, especially ones played between the 'minnows'. 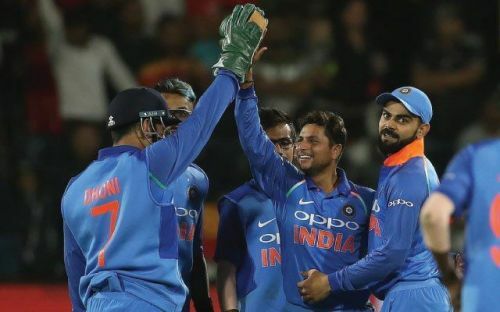 With the number of T20s increasing at a staggering rate, the decision to move back to the 50 over format may prove to be a blunder by the organizers. The reason for the stupendous success of the previous edition of the Asia Cup was mainly because it was played in the T20 format and attracted a lot of viewers. With the conditions and rules now favouring the batsmen, viewers will find it boring to watch high scoring encounters in all the matches. According to a survey, viewers find the passage between 20 - 39 overs the most boring phase in ODI cricket. The current generation prefers T20s as the time involved is less when compared to ODIs. The organizers have moved back to the ODI format keeping the World Cup 2019 in mind, but that could prove to be a mistake.